Discord is a free unified communication platform that combines the best of TeamSpeak3, Skype & Slack capabilities into one sleek package designed specifically for games. Huge Refactor Of Code Which Makes It Fully Cross-Platform Compatible (Windows, Mac, & Linux). Worked On Blueprint Function Library. That is great to here that we got featured on Community Spotlight! I'm the Programmer for ODIN Tracker. You all may or may not recognize me from my work on CRYENGINE and my two books on it. Just Want to update you all on progress made last week. 2. Added more image filter functions including Blur, Crop, and Highlight. 3. Made the entire Image Editing API fully exposed to blueprint. 4. Added ability to select any Widget in the Editor with the mouse to capture a screenshot of. A Green Border is added to the Widget you are about to capture to help you see which widget is going to be captured. This plugin is coming along greatly and really improves your overall workflow by keeping everything inside the editor so you never have to leave. More updates coming soon in the next week or so. Will ODIN tracker's capture ability enable users to record gameplay from within the editor? 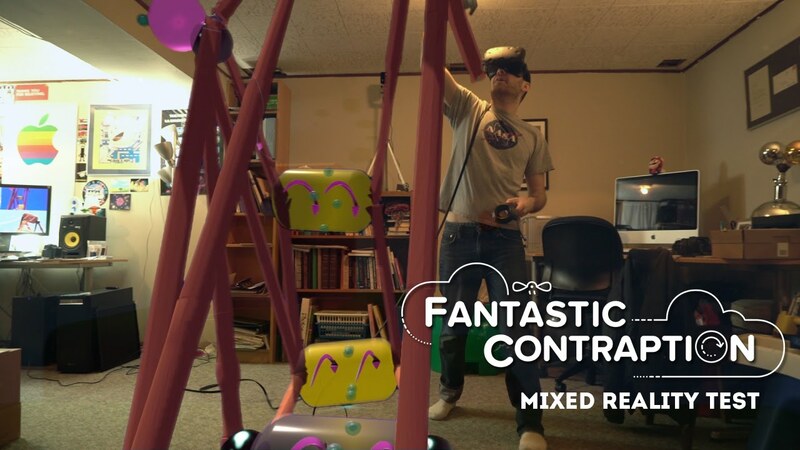 If so do you think it would be possible to make mixed reality videos with it? That's a rather interesting suggestion and while it is something we have never considered it may be possible to accomplish by syncing up the position of a stationary camera in the real world with one in UE4 3D space and splicing those 2 video outputs to get the desired result in the video above. However things become WAY MORE COMPLICATED when it comes to tracking and keeping in sync both the UE4 and real world camera during movement and it would require the end-user have very specific tracking hardware + some technical expertise on our part to pull off such a feature. ODIN Tracker's capture component will not only support the capture of UE4 windows but also the game viewport itself (image, video, and GIFs) and we will also be adding support for those same features on standalone runtime builds of a project built and compiled in UE4 (ODIN Tracker bundled) at a later date. [MENTION=8008]benjamin.smith[/MENTION] I tried submitting the suggestion but the link is dead. This is specifically important to VR game marketing as it gives viewers the best idea of what VR and the game is. TLDR: To achieve mixed reality we need to be able to tag objects to foreground and background layers then capture those to separate layers onto separate video files to later composite real life camera footage in between. If you were to Parent a motion controller to a camera, like the htc vive motion controllers to an actual camera as well as the motion controller component to a camera then getting the 3d space data is trivial what I would think is the hard part since I dont know enough about how the engine handles rendering is setting certain objects to render and record on separate files. How this is achieved in Unity is they parent a vertical plane to an HMD (HTC Vive). Then they set any object in front of that plane to a foreground layer where it is recorded to a file with only foreground objects. The objects behind the hmd are also recorded to there own file. Once both files are recorded all is needed is for both of those files to be dropped into a compositor such as After Effects, drop in the video file from the real camera, and then layer the foreground > real camera > background. It might be a challenge to sync up the 3 video files but that could be solved on the individual developers end (not you guys) by creating some type of slate mechanism such as clapping your hands together on the real life camera and in doing that you hit the trigger on one of the motion controllers which would spawn a visible object in the foreground and background areas of the game recording. @benjamin.smith I tried submitting the suggestion but the link is dead. This is specifically important to VR game marketing as it gives viewers the best idea of what VR and the game is. I would have to get back to you on that one as it is a very niche feature request which would most likely require a decent amount of R&D work to complete. Lucky for you I personally own an Oculus DK1 and DK2 which I can test out some ideas on how to implement this feature however I do not own the Oculus Consumer Model nor the HTC Vive and the same can be said for my colleagues. We will most likely take a more serious look at this feature request later this year once we have the latest Oculus and/or HTC Vive to play with. Would you mind submitting your request to our JIRA Service Desk now that the service is back online? Hey All! Here with an update on current progress. 1. Selective Window Capture Is Now Complete Will The Ability To Capture Only Specific Tabs In The Editor. 2. Entire Screen Capture System Including Recording Is Now Exposed To Blueprint And Can Be Used During Run-time For Your Game. 3. Selective Window Capture Is Also Implemented For Recording Capture (Almost). 4. Entire In-Editor Post Capture Image/Video Editor Is Almost Complete And The Editing Workflow Is Very Similar To 3DS Max's Modifier Workflow. Was sick for 2 weeks and still kind of am. Otherwise I would have updated you all sooner. We look forward to showing of some promotional videos soon! Last edited by Richmar1; 04-28-2016, 07:26 PM. You know, this app actually looks fantastic! I can totally see myself using this in the long run with my future games and other works. Keep up the great work Ben! That means we will most likely be scrapping some of our upcoming closed alpha and beta release test candidates as well since we feel that while ODIN Tracker may be a little rough around the edges currently, our target market is developers at the end of the day so we're sure you will be understanding. Hey there, I'm Raphael and today I'd like to update you on the UI. Visually it's still a little rough around the edges but functionally it's over 90% to 0.2. Last edited by Richmar1; 06-11-2016, 04:08 PM. We will be creating a more polished promotional product video + 5 screenshots for our UE4 Marketplace Submission to go alongside social media tailored content after the media frenzy surrounding E3 calms down a bit. Our new logo is 98% done with a variety of configurations being made for use with our various buttons, documentation hub (docs.odintracker.io), website, etc which we will also be providing as part of a PressKit at some point in the future. Very cool idea! Awesome work! I tried the alpha version and i liked it. Very comfortable and useful! 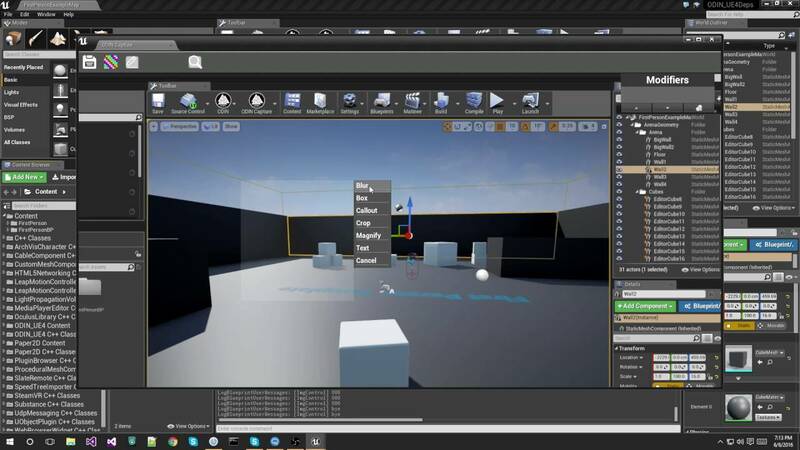 Last year we started to make a full length animation in unreal engine because the engine possibilities fits to the style of the animation and gives high productivity. Right now this projects is frozen, but soon it should continue. 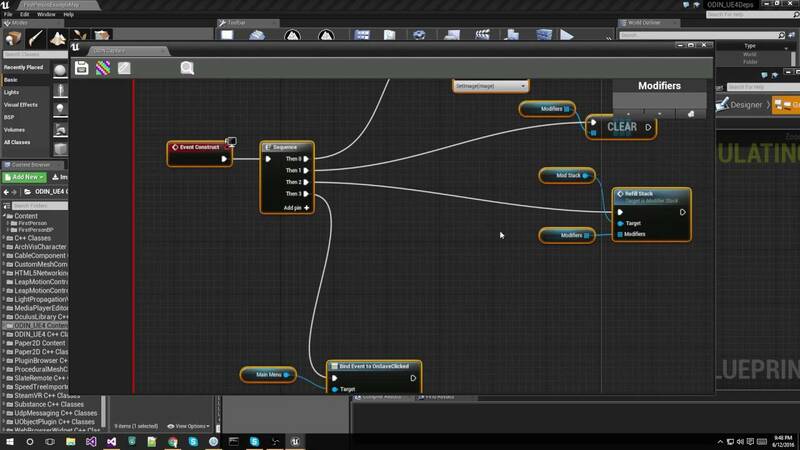 It would be very useful to have a built in project manager or something like this plugin for big projects in unreal! And its capturing system will be useful for developers. Good luck guys! I will keep my eye on this project!